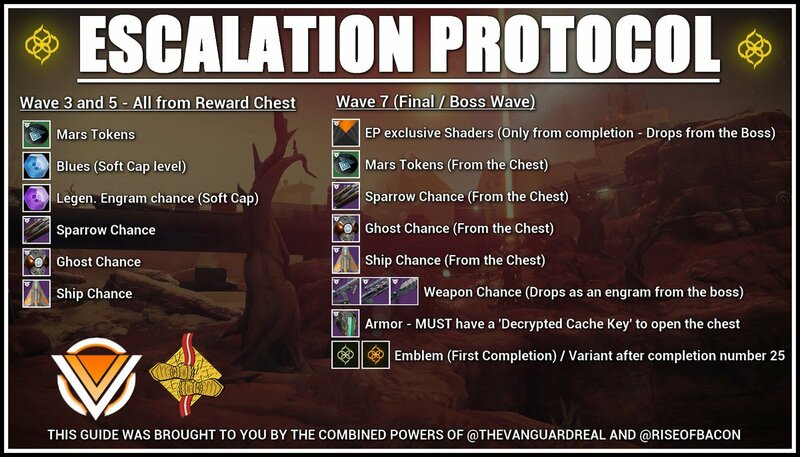 Destiny 2 Weekly Reset. DLC HOTFIX & NEW MAP! Powerful Gear, Nightfalls, Vendor Items March 19, 2019 by Mesa Sean on YouTube << Click for more Destiny 2 videos! Forever Fight: Do not kill Ogres. Prism: Attacks matching the periodically rotating element do more damage. Other elemental damage is reduced. Mars. Defeat Nokris before he completes his ritual. 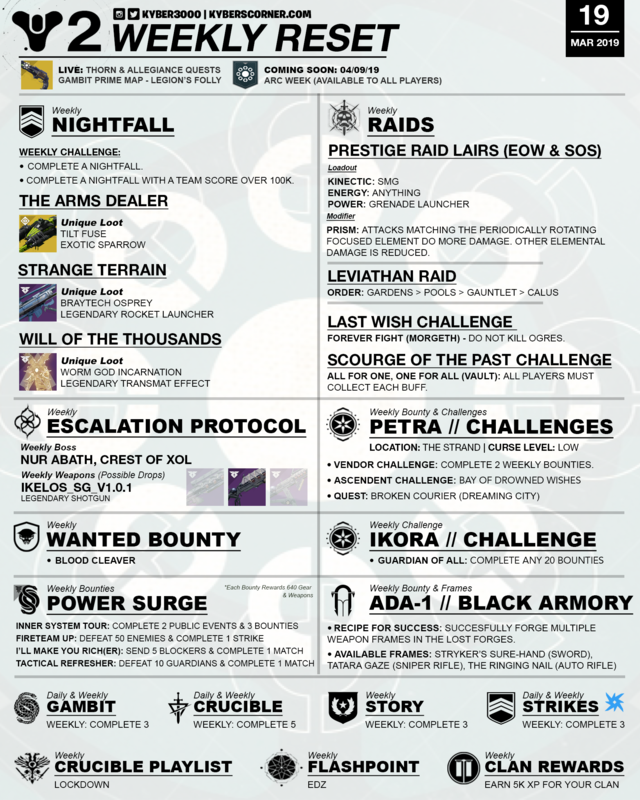 ⭐ EDZ: Complete various activities on Io including public events, Lost Sectors, and Heroic adventures. Final Boss: Nur Abath, Crest of Xol—an Ogre that is surrounded by an aura that grants him an immunity shield whenever any Hive passes through it. If you’re the type of player who wants it all, or you’re an all-out lore collector, you can make a different pledge on alternate characters. Just remember that your choice will last. You can either side with a slick-talking Drifter or side with those who protect the last safe city and its people. To begin, you’ll need to track down Xûr (Fri – Mon). In addition to his Exotic inventory, he’ll also offer a quest item for you to complete each week, for up to nine weeks. Each week you engage, you’ll be invited to learn more about the Nine and unlock lore pages to dive deeper into their story. 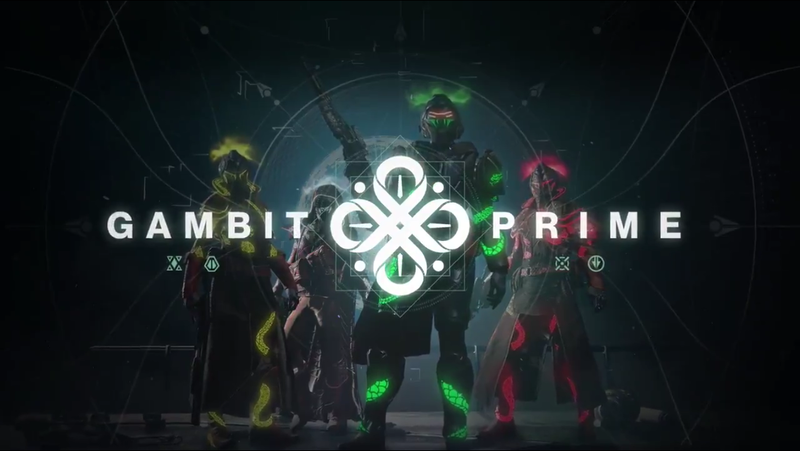 Bungie will be doing three Gambit Prime Bungie Bounties over the next three weeks featuring all three platforms, starting with Xbox. Click here to learn more about Season 6 Pinnacle Weapons. Destiny 2: Joker’s Wild | How to get NEW Season 6 Pinnacle Weapons – Full Guide and Tips!! by Speer Gaming on YouTube << Click link for more Destiny 2 videos!